This painting is part of whimsy portrait created by Bhavna for her show Dreamland. She chose her favorite animals and placed them in somewhat unrealistic setting. 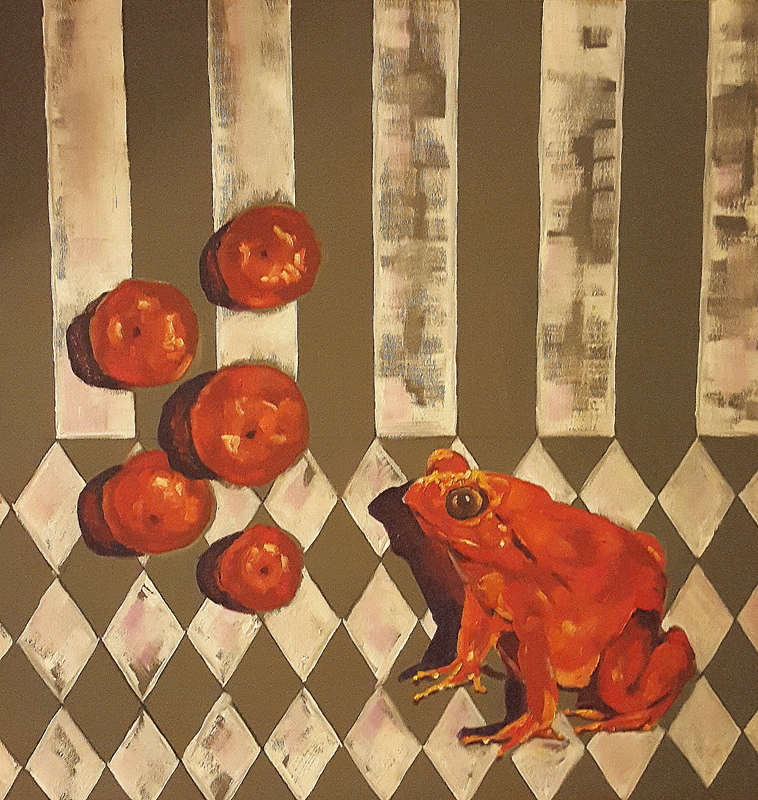 Here a tomato frog looking on the red tomatoes’ parade passing by! This artwork and similar pieces are available in small, medium (up to 24″), and large. The paintings are unframed and ready to hang with d-links and wire assembly. It is also available in high quality canvas wrap with sides in black.